At TechnologyOne, we know that the best minds come from a diverse range of backgrounds. People from all walks of life bring unique experiences and points of view to our business. When employees are encouraged to express their diverse perspectives, new ideas are generated and our most complex problems solved. We have a strong commitment to diversity and are dedicated to supporting the next generation of technology leaders. Our software engineers are trained in Web Accessibility Guidelines and our software is built to meet the W3C/WCAG 2.0 "AA" accessibility guidelines, ensuring it can be accessed by anyone at any time. 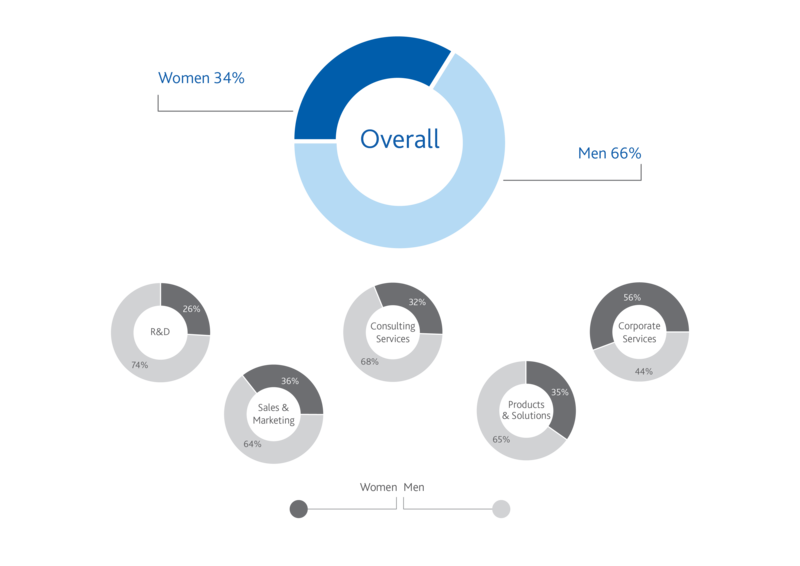 Women make up over 34 percent of our workforce, with more than 29 percent participation in technical roles. This puts us amongst the best globally in the IT industry, and almost double many other leading global tech companies. We can and will do better. We have set a target to achieve 40% participation of women by 2020.